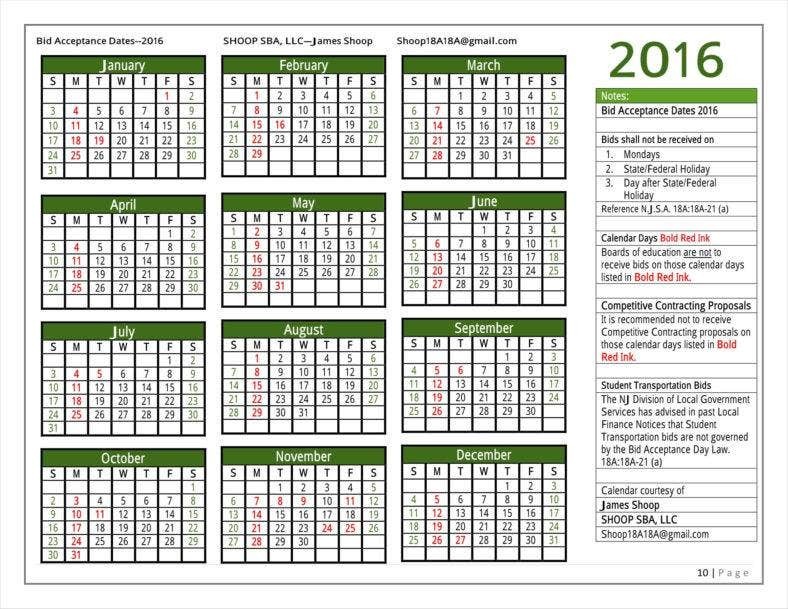 Some basic calendars can be used for any number of different purposes, especially in a professional setting where they can have more uses that simply telling you the current date. One example in how you can use business calendars to boost brand awareness, especially when you need to advertise things like business bids. 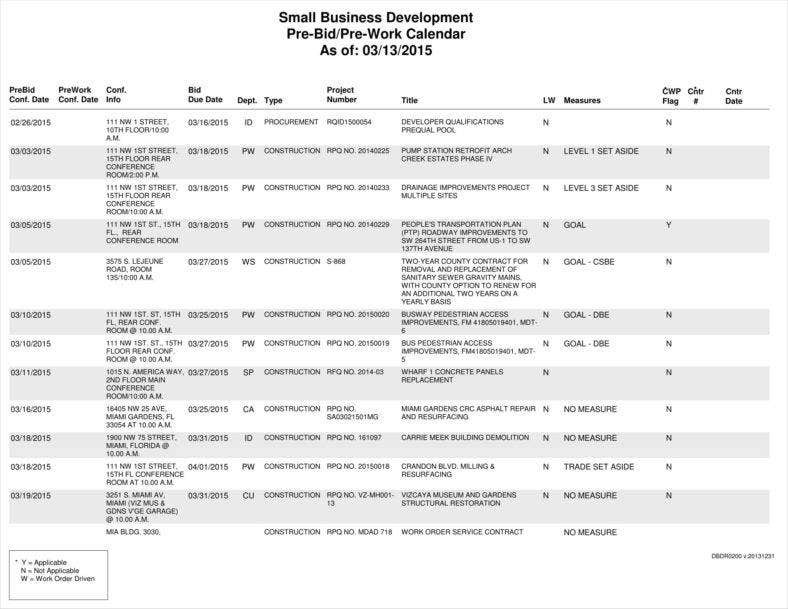 For purposes like those, you have different business calendar template samples available to you like bid calendars. 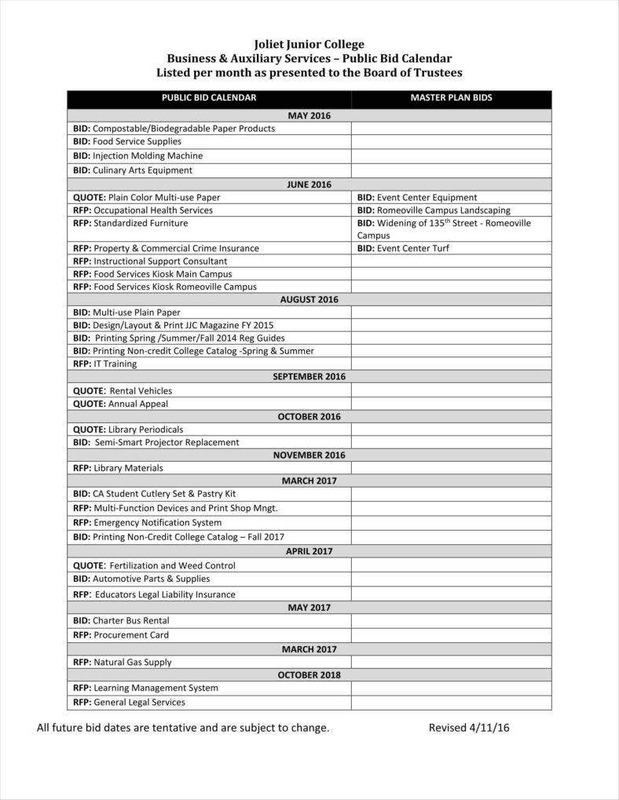 These particular calendars allow you to present dates for other businesses that may be interested in working together with you. 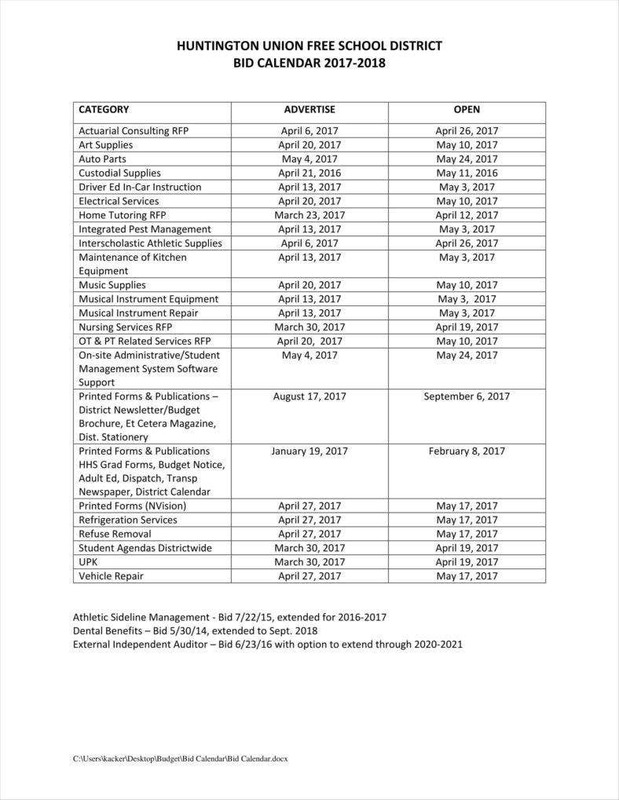 You may have seen this occur in the case of construction, but there are other professions where these calendars may be utilized, allowing you to use them regardless of the nature of your business. Part of knowing how to use any tool is understanding the different elements of that tool, and bidding calendars are no different. If you are to know precisely how to make one, and make one effectively at that, then you need to know what components make up a given bid calendar. This way, you can be confident that you are using these calendars just as effectively as other calendar types you may be more familiar with. One category you definitely must include in your calendar templates in Excel is the relevant commodities you need for your business. As mentioned earlier, this can include specific work delegated to subcontractors in the case of construction work. However, this can include other categories as well, particularly if yours is a business with different products to offer to its customer base. For example, if you were looking for a new supplier then you should specify what commodity you want supplied so that you can make that clear to potential bidders. After all, in any business transaction it is always necessary to specify exactly what you want from other parties. 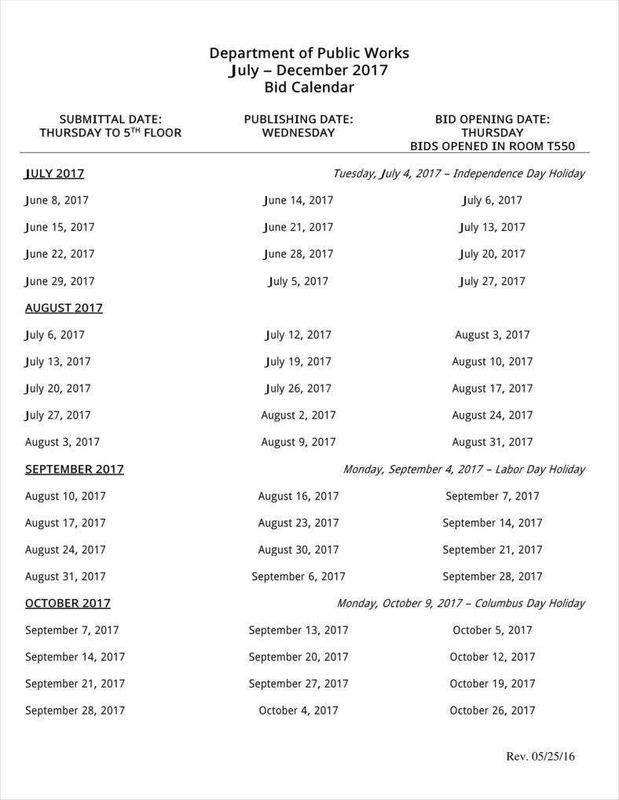 Your calendars will also need to include a filing period so as to provide bidders with time to send in their business proposals. This also gives you time to have them processed to determine which companies you wish to do business with. Monthly calendars might be able to help you here, as they can give you a format to include specific periods relevant to your actual timeframe. The filing period is a necessity in your bidding calendar precisely because you need to give your bidders a window for all their preparations so that they can present their proposals to you properly. Naturally, this would allow you to get as complete information from other parties as possible so that you can make an informed decision during the bidding stage. Like other kinds of business calendars like sales calendars, you need to specify the most relevant dates on your bidding calendars, which would include the bidding opening dates proper. After receiving the bids, you would need to have them all inspected on a given date, which you would need to announce to all the bidders just to put the filing period into perspective. This date would also be important in the event that your bidding process is a public one. But even in the event of a private bidding, you would still need to have the date so as to assure all your bidders that they are on the same level when the bidding finally opens and when you do choose the lowest bid. This element is really only necessary in the event of a public bidding being that you would have to inform your bidders of where the event is taking place. 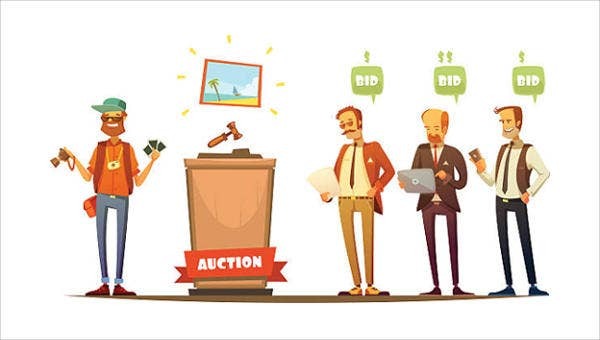 If so, then your bidders do need to have this information provided so that they can contribute to the proceedings such as in the case of formal protests and to ensure that all the bidders see one another’s bids for themselves. This is a vital element of the calendar so as to assure your bidders that the bidding will be a fair process for all involved. After all, it never pays to burn bridges with potential business partners, particularly if you may have to rely on them at any point in the future. 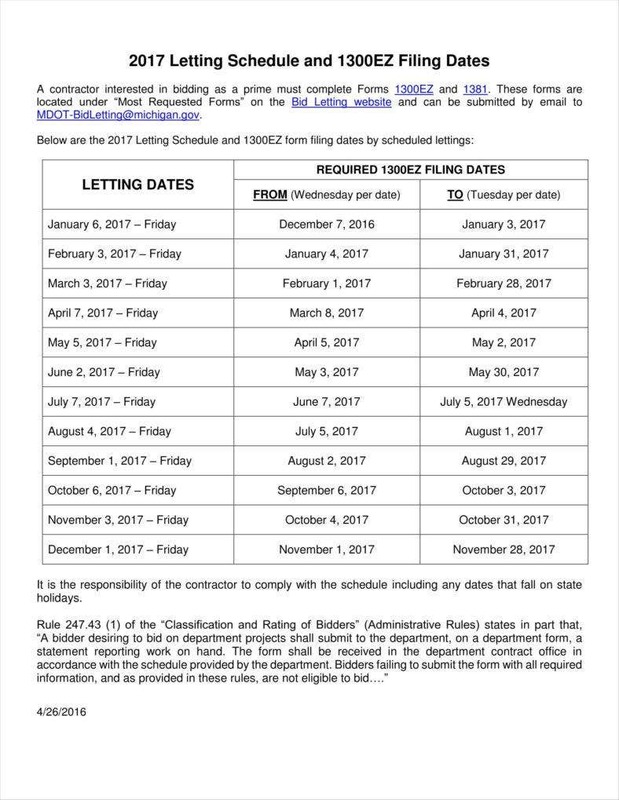 In order to fulfill the bidding process proper, it would also be necessary for you to include the letting date, which is the date when the contract will be awarded to your chosen contractor. After all, you would want to provide your bidders with complete information so that they can make any preparations ahead. While your bidders would not quite start making all their preparations until after you confirm your choice, it would still be prudent to list the letting date so that they will have sufficient time to make whatever preparations are necessary. Of course, it would only be natural to include sufficient time between your bidding date and letting date so that your choice can have time between them to finish the rest of their preparations. Another necessary element of understanding tools like work calendars is knowing their functions so that you can find out exactly what it is they can do for you. 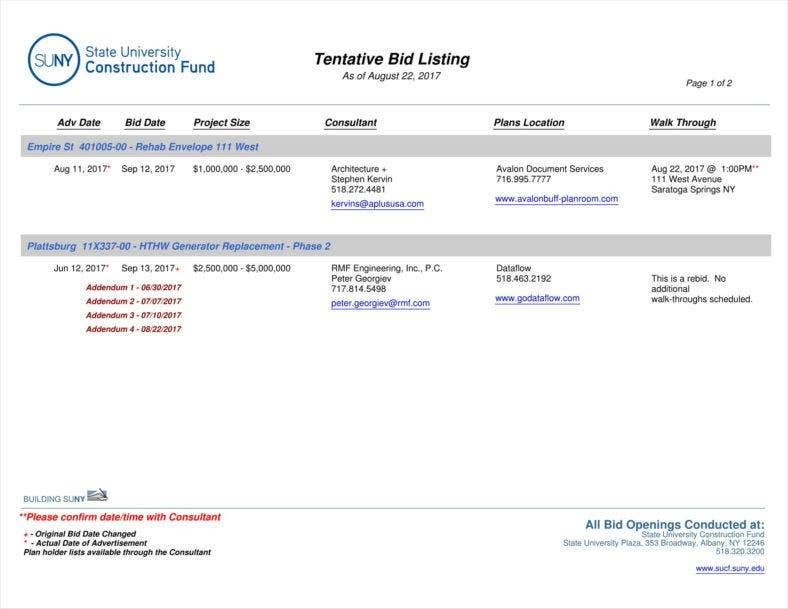 In this case, you can tell that bid calendars can provide information on relevant dates for any bidders who may interested in doing business with you. Of course, there are some other functions they are capable of, some of which may only be implied, hence the greater need for you to be aware of them. 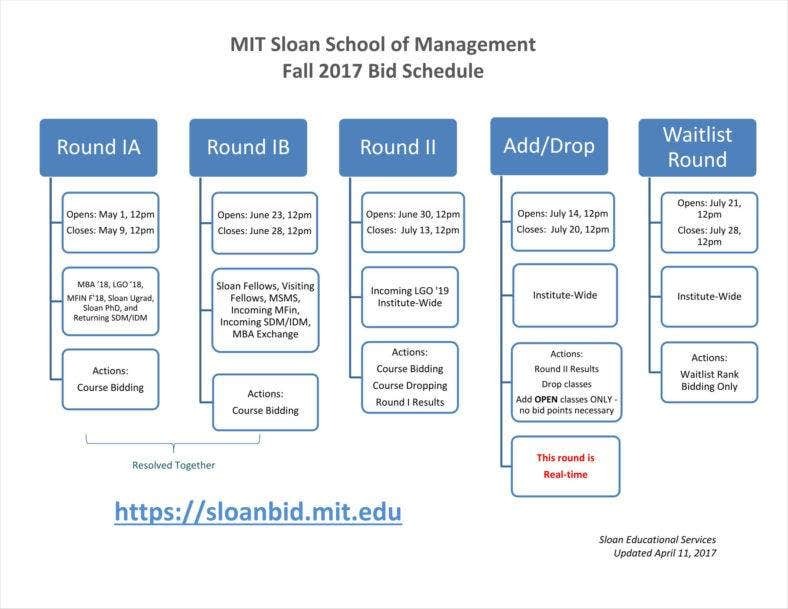 They provide you with basic timeframes to apply to your bid. One of the most basic functions of any calendar templates like sample calendar timelines is simply providing you with timeframes for the bidding process as a whole. As is the case with calendar templates in Word for other processes this can serve to guide people through the process. This can be done by providing dates for when different processes have to be accomplished so that the bidding process can be finished in a relatively timely manner. This can obviously help your bidders stay aware of when different tasks need to be finished, as well as inform you of when you need to finish your own so as to ensure a consistent workflow for your project. They let you list the specific parameters of a given bid. Different kinds of business calendar samples also make it easier for those who read them to stay aware of the scope of the project. This can also be seen in marketing calendars, for example. In the case of business calendars, the information you put on the list on the calendar can include such things as what commodities you are looking for. After all, it would help your bidders to know exactly what you want from them so that they can be kept aware of what needs to be done in preparation for your bid. The more you can specify the dimensions of your bid, the more prepared your bidders can be to help you best, which can only be to your benefit. They allow you to include contact information for a given bid. Your Excel calendar templates for making your bid calendars should also include space for contact persons for the bid. This can serve as a boon for you and your bidders, as it allows bidders to get more direct information concerning the bid from someone in the loop. This way, you can be more guaranteed of your bidders having everything they need to meet what you want from them. After all, contact information always makes it easier for different parties in a business relationship to coordinate themselves and make sure that their efforts are properly contributing to the work as a whole. They allow bidders to make you aware of potential costs for specific bids. 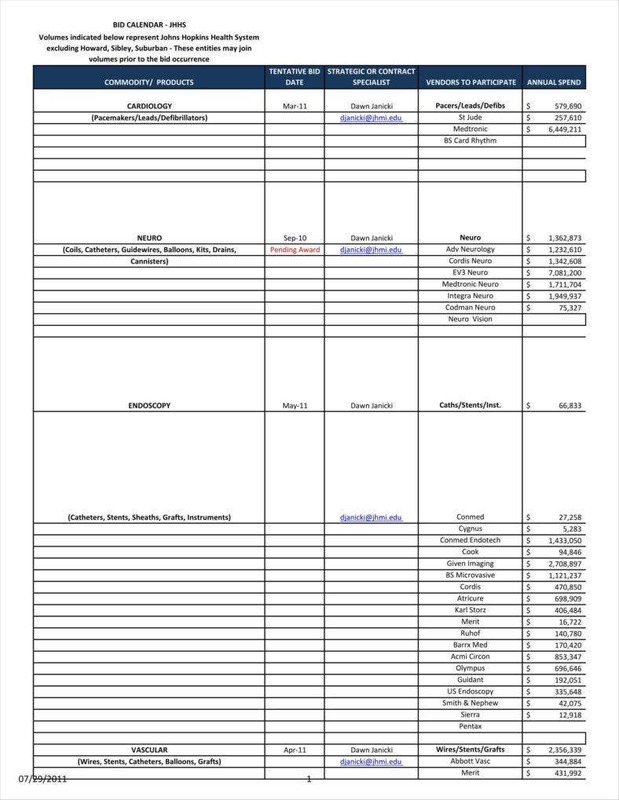 Bidders can include more specific information on your bid calendars. 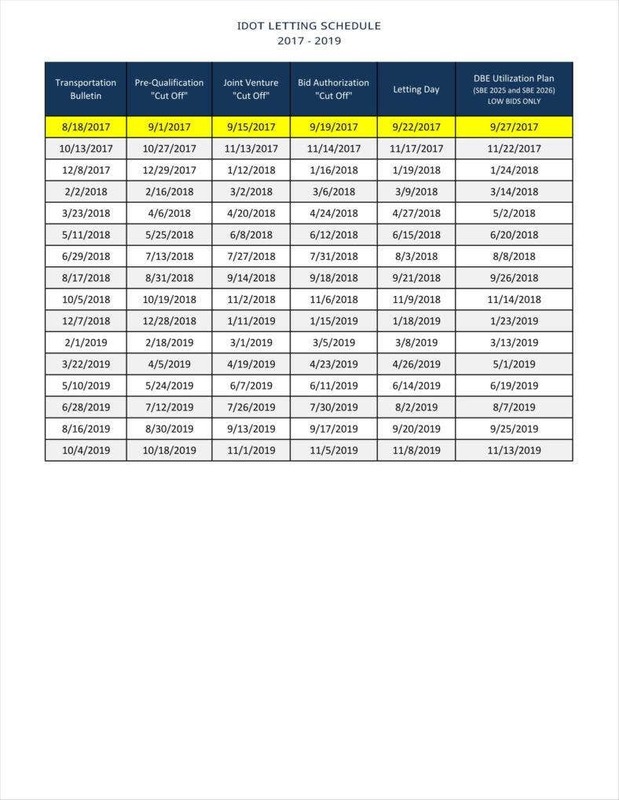 After all, different calendar template samples often have such implicit functions like these which you would be wise to take advantage of yourself. In this case, being able to have bidders list the cost allows you to have more complete information concerning bidders’ estimates. This gives you more information for when you need to select the apparent lowest bidder so as to keep costs as low as possible. They make it possible to subcontract and decrease risk. Naturally, using bidding Word calendars in the first place can allow you to find subcontractors or suppliers to aid you in doing your own work. In the case of construction work, this allows you to take fewer risks as you are delegating work and responsibility to another party. In case of any setbacks this can leave you in a safer position so as to cause the least amount of damage to your company. This is in addition to bidding calendars serving as tools enabling you too delegate responsibility for certain tasks to parties that might be more suited to carrying them out. With any luck, these insights should give you a good idea of what can be done with bidding calendars, which should serve as invaluable tools if you ever have to delegate tasks to other parties.